I finally showed up at one of the many David Bowie tributes. As a super fan, I was wildly unimpressed. Next time I’ll opt for my shrine and a vinyl on a repeat. Shortly after David Bowie passed away there was a surge of cover bands, tributes, and fans wanting to throw their hat in the ring. Call me a hipster or snob all you want, but I’m a purist. I didn’t like other people singing his songs in life, and I certainly won’t sit through it now that he’s gone from this planet. I steered clear of these shows, and mourned in my own way. Aside from Lorde, no one has done a tribute justice. The Atlanta Symphony Orchestra usually puts together such beautiful performances, so I jumped at a chance to see their versions of Bowie’s catalogue. I expected a tasteful celebration of a remarkable artist. There was going to be a full “rock and roll band” and vocalist (something that the event originally forgot to mention), but I assumed it would be in a subdued, secondary capacity. That they would be there to compliment the orchestra. No such luck. The ASO was completely drowned out by a second-rate cover band. Nothing more. Anecdotal stories were told from the vocalist’s point of view as if this performance was about his relationship with David Bowie. This wasn’t the emotional night I had been waiting for. My head nearly flew off my neck when the singer didn’t even know the words to “Golden Years,” obviously stumbling through the lyrics on an iPad. Under all of that mess, you could barely hear the orchestra. What they were doing was beautiful. The orchestra even knew they were defeated. They looked bored, and a couple checked their phones during the performance. I can’t blame ’em. The Eddie Van Halen-style guitar overpowered even the bravest trombone. Not a fun evening, and far from an appropriate way to honor David Bowie. I have touched on my David Bowie obsession before. The Labyrinth introduced me to the man who would go on to become one of my most inspiring heroes. Everything he did was just so incredible to me. On top of everything, the man was a literal genius. Easily one of the greatest minds in music. He lived near The Strand, and went numerous times a week. Now that is #GOALS. My collection grows steadily every year. I have original vinyl, master recordings, compilations, rarities, signed books, first edition books, posters, movies, pins, blah, blah, blah. “No” is not in my vocabulary when it comes to him. I have to have it all. Most recently I acquired something truly rare and special. It’s definitely the crowning piece of my collection. Tashen released a book last year, Mick Rock. 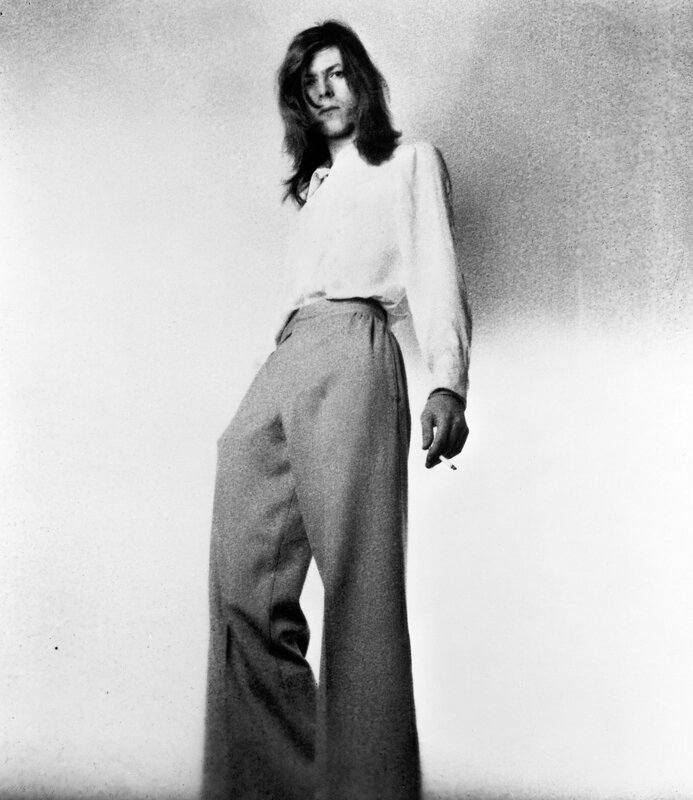 The Rise of David Bowie, 1972-1973, that included all of the photos taken by Mick Rock during the Ziggy Stardust era. When I say book…I mean tome. It weighs around 15lbs maybe. Possibly more. 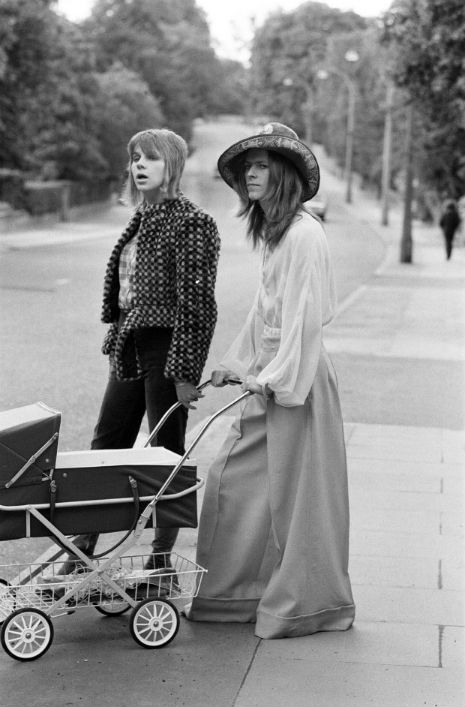 Anyway, there were only 1972 released, 1972 being the year that Ziggy was born. Most importantly, this book is signed by Mick Rock and David Bowie. It’s super sold out now, but you can still get it on Paul Smith and of course eBay. They released a book of just the photos that is a lot cheaper and less intimidating. I want to get the cheaper one too, since I’m terrified to touch mine. I’m actually in the process of finding a safety deposit box large enough to house it. If anyone knows of any banks or super secret spy places that could guard it from fire and theft, I’d like to talk to you. That’s a very small sampling of my vinyl collection. Basically, that’s just my most colourful and rare. The Ziggy at the BBC thing is a rather mysterious compilation I picked up somewhere (Portland I think). It has all of the Ziggy Stardust tracks from the much larger, Bowie at the Beeb. I actually haven’t listened to it yet, but it apparently has white vinyl (I just learned that). The picture discs are pretty special, and I sadly snoozed on a lot of them. If I had known what was going to happen in January, I probably wouldn’t have. Some of them are a little tricky to track down. So…if you love me…I would like: Life On Mars, Fame, and Golden Years. Heehee. Can’t hurt can it?